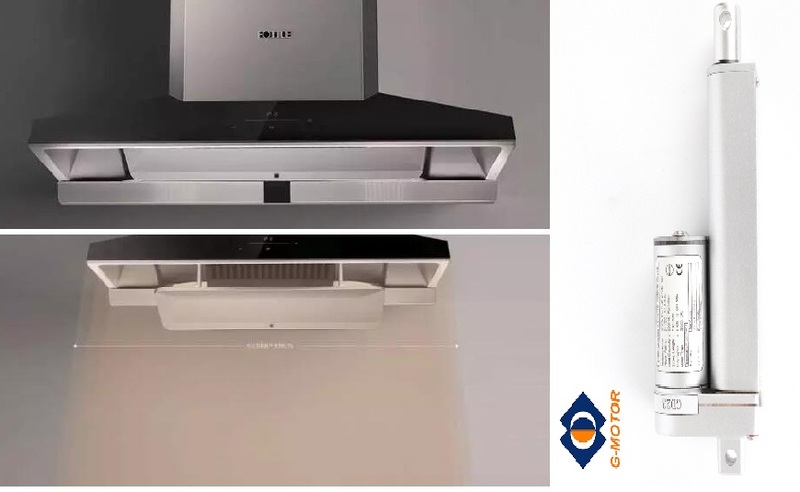 Product categories of Kitchen Hood Lift Actuators, we are specialized manufacturers from China, Kitchen Hood Lift Actuators, Cooking Utensil Lift Actuator suppliers/factory, wholesale high-quality products of Kitchen Ventilator Lift Actuators R & D and manufacturing, we have the perfect after-sales service and technical support. Look forward to your cooperation! It is a trend that modern kitchen should be more open and more integrated.For living or dining room,multifunction is required.Our Kitchen Hood Lift Actuators is perfect for those who have the Kitchen Hood or Kitchen Ventilator that is not easy to be reached,or the Kitchen Hood takes up the place of living room or dining room.Height adjustment is a growing trend and already a common feature in many workplace applications.G-motor's Kitchen Ventilator Lift Actuators can make the Kitchen Ventilator height adjustable,which ensures your kitchen workshop can be used by vary ages of people and increases your business customers. Get in touch with us to get more information for your Cooking Utensil Lift Actuator.